Well, that didn’t take very long: In the same week that an EP of unpublished Prince recordings was to be released, the late icon’s estate has filed a suit against said EP’s producer. Just yesterday, we learned that sound engineer Ian Boxill had collaborated with Rogue Music Alliance on Deliverance, an album with six previously unreleased Prince songs, including the title track. Boxill claimed songwriting credits on the tracks, which he arranged after Prince’s death in April 2016. 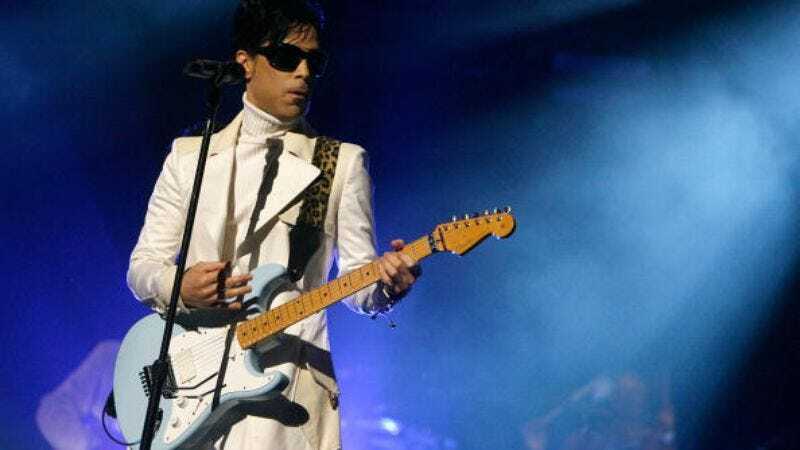 Now KTSP, an ABC News affiliate in Minnesota, reports that Prince’s estate has filed a suit in federal court over Boxill’s use of the recordings. The plaintiffs say Boxill “had violated an agreement with Prince that stated all recordings he worked on with the artist would remain Prince’s ‘sole and exclusive’ property and that Boxill would not use them “in any way whatsoever.” The complaint estimates the worth of the unpublished tracks to be $75,000. Variety picked up the lawsuit story, and reached out to Boxill for a comment. He declined to respond, and has yet to return the recordings in question. The latest legal kerfuffle casts another shadow over the week, which marks the one-year anniversary of Prince’s death. But sadly, it’s also in keeping with Prince’s lifelong struggle to maintain control over his music.